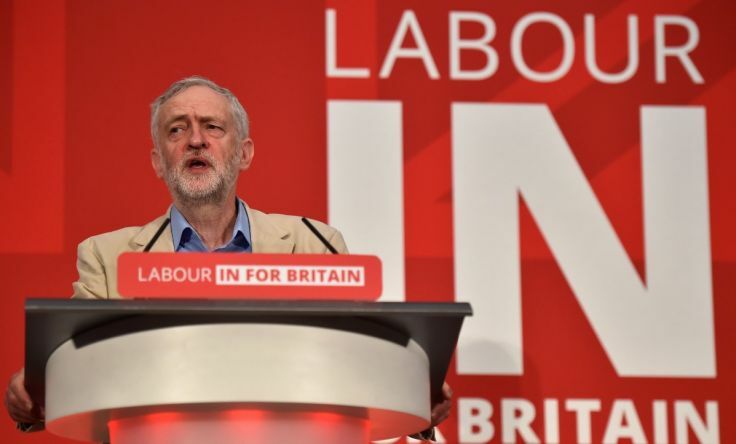 Jeremy Corbyn warns of workers rights 'bonfire' if Britain leaves the EU. You've known Mr C long enough now to know that he's a well meaning chap with good intentions, but holds no real expertise on anything and his ideas are barely relevant and mostly obsolete. I don't think he has much to contribute to this debate. Even his earlier eurosceptic utterances are falling short of accurate. I must confess, while I have nothing in common with him politically, he does have a certain superficial appeal. His contempt for media hacks is refreshing. But with closer scrutiny you soon realise that a lot of what he does is still calculated. He's still one of them. And his sudden Damascene conversion to Europhilia marks him as a man with no real political courage. He is also on the wrong side of the facts. As much as Britain has signed most of the International Labour Organisation conventions that will remain in force after we leave the EU, it doesn't hold that Britain was a Dickensian slum before the EU social chapter. We did have workers rights and health and safety before and we'd accomplished an equilibrium through many small increments. The EU has upset that progress and sent the process into reverse. We have never had more entitlements and protections on paper (many of them not asked for nor used) but in reality things are going backwards. Changes imposed by the EU are not gradual. They are major impositions on business. What the EU has set in motion is a game of regulatory whack-a-mole where everybody loses. I'm only thirty seven years old but I'm just old enough to remember how things were before. Permanent jobs were commonplace, but after a string of new "rights", it ironically created a thriving temp market where even small cities had a dozen shop from temp agencies. And to fix the problems all those new entitlements created they then gave us the Agency Workers Directive, affording gold plated protections to workers after three months. The result of that... zero hours contracts. And though people assume zero hours contracts are just for the low skilled plebs, it's far more widespread. IT workers and aerospace engineers are now far less likely to be employed on a full time basis and instead are contractors working either under their own limited companies as sole traders or as virtual employees of umbrella companies. And so while employees notionally have more sick pay and holiday entitlement than ever, the net result is that professionals now have no holiday pay and no sick pay at all. And contracts on that basis make it very difficult to get a mortgage. That's great if you're a young professional with no commitments, with multiple opportunities to dodge tax, but no use if you have aspirations and a family to provide for. The cost of employing anybody on a permanent basis is spiralling ever upward. And then when you consider the recent hike in the minimum wage, look what happened - hours cut, employee perks slashed, staff discounts revoked and contracts reconsidered. More people end up working harder to take home less. And so now, we have a a more hostile relationship with employers, jobs are less secure and everybody is penny pinching and picking each others pockets. It makes for a much more hostile and selfish society. And to make it worse, our virtue signalling parasites in Westminster who have guaranteed perks and expenses get into a bidding war to gold plate "EU rights". They don't care what the actual consequences are just so long as the useful idiots applaud them. The truth is, before all these useless entitlements (which can only really be enforced if you can afford solicitor and are up for a long court battle), things kinda worked. You could hammer out an amicable deal with your employer without a gun pointed to their heads. And if not the labour market was fluid enough to change jobs. For those who couldn't negotiate a good deal we had unions. And while many like to blame Mrs Thatcher for the death of the unions, nobody has done more to neuter the unions than the EU as it has imposed more and more rights over and above what even the unions themselves would push for. They have become redundant. And that's not a good thing because we are no longer in the habit of pushing for our rights and getting a good deal. We are merely passive recipients of rights that aren't nearly as much use as more overtime pay or flexitime agreed with the supervisor. Because legislators buy the hype that we live in a Dickensian state they assume all employers are necessarily out to screw workers and that workers are entirely helpless without the munificence and generosity of their betters. It's insulting to both. And by intervening at the microscopic level they create more unemployment, more shady practices and more tax evasion. And because they create such problems what is their answer? MORE LAWS!!! We are in a depressing cycle of regulatory oblivion that is killing flexibility, it is removing moral agency, and destroying secure jobs. More to the point, it makes our businesses less competitive and in the end nobody is really any better off for it. You can't legislate people into wealth and nobody trying that has ever succeeded. You need real growth policies where a balance is struck between the needs of the worker and the needs of the employer. A liberal labour market is always going to be better for both. What's good for one is good for the other. The EU is the absolute antithesis of this and by its continued meddling we are all worse off. And why does it do it? Precisely so that when it comes to a real challenge to the authority like a referendum, the people who are supposed to defend the workers; the Labour Party, the unions and Mr Jeremy Corbyn, they roll over like obedient little lapdogs, paving the way for the EU to take complete control of Labour market regulation. Little wonder the EU is struggling to climb out of stagnation. But then why should the unions care? They all have nice little sinecures inside the EU, they have their fat-cat bosses and they have their junkets to all the global conventions. Nevermind that at the international level it's the corporates themselves who are writing all the laws to be rubber-stamped by the commission - and they are the ones who control which unions get a say. But it doesn't matter if you're on the inside hey? I do not accept that the EU is good for workers. I do not accept that it protects our rights and I do not consent to EU government over such critical policy areas that directly affect me and my fellow Brits. More contemptible is the europhile argument that if we left the EU then the Tories might have a bonfire of labour rights. They might just do that, and it might actually improve matters. And yes they might go too far. But that's when workers for once would have to get off their backsides, get involved in politics and kick them out - instead of moaning and waiting for the next bunch of useless EU entitlements. That would be that participatory democracy thing we have so completely abandoned. Why is everyone so obsessed with tariffs? Why settle for EU subordination? Brexit: what's in it for you?